A link to "Manage SecurityEdge settings" will be sent via email. Your link to 'Manage SecurityEdge settings' has been sent! 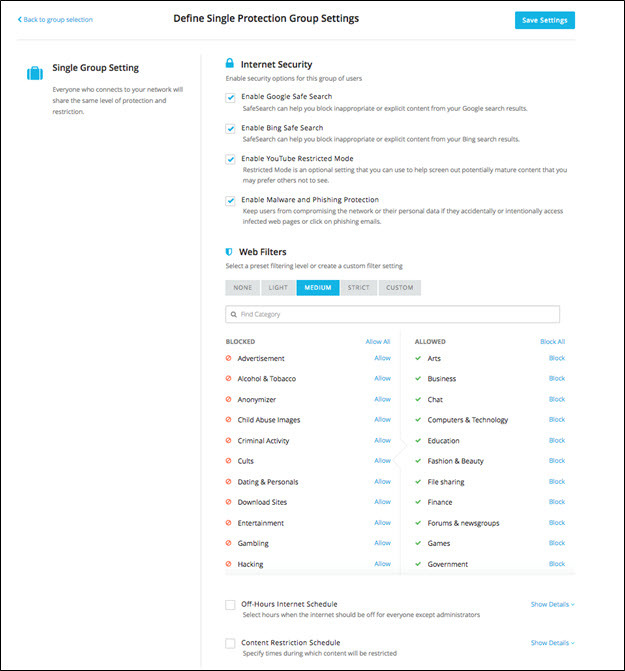 Comcast Business SecurityEdge is a scalable, cloud security platform that automatically protects you against a growing number of attacks via malware, phishing and botnets. SecurityEdge also enables you to set custom web filters to maximize threat protection and enforce internet access policy across your internal network. This article provides details on accessing the SecurityEdge subscriber portal and managing settings online. Note: SecurityEdge is currently available only for select customers in parts of Pennsylvania, New Jersey and Delaware. Sign in to Comcast Business My Account and select Internet from the Services menu. Select SecurityEdge to open the subscriber portal. Upon initial sign in to the subscriber portal, a setup wizard will assist you in configuring your settings. Following the initial setup, settings are managed on the Profile page. 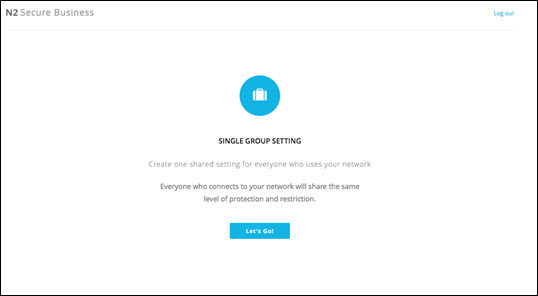 Select your desired settings to apply protection and restriction options to users on your network. In the Internet Security section, select checkbox(es) for the associated security options. From the Web Filters section, select a preset filtering level, or click Custom to manually filter using the available categories. Use the Off-Hours Internet Schedule to select hours when the Internet should be unavailable. Use the Content Restriction Schedule to specify times when content should be restricted. When complete, click Save Settings. 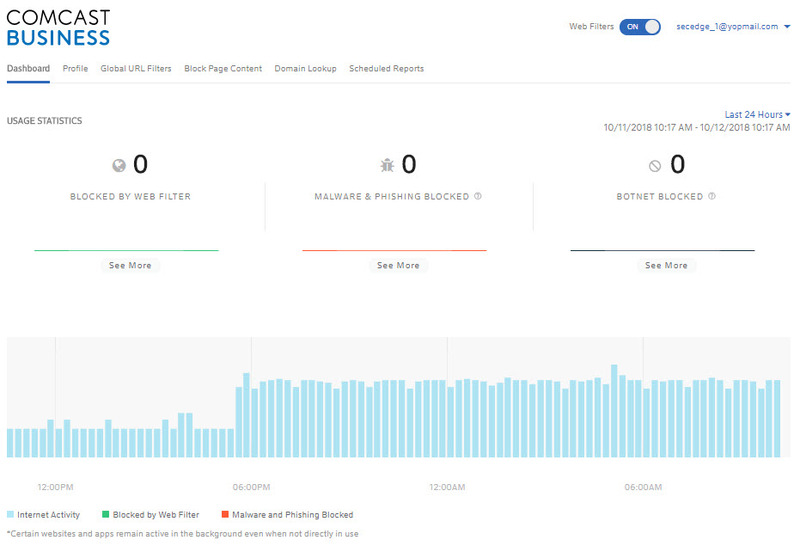 The Dashboard page shows blocking history details for web filtering, malware and botnets. Adjust the date range to display history for the last 24 hours, 7 or 30 days. Select Global URL Filters to manually allow or block a specific URL. Enter URL and click Check, then select Block or Allow to add URL to the Blacklist or Whitelist, respectively. Select Block Page Content to customize the browser message a user receives when a page is blocked. Click Branding to add a logo and tagline. Click Web Filtering or Malware and Phishing to leave a message to block page visitors. Select Domain Lookup to reference the associated web filter category for a given domain. Select Scheduled Reports to designate an email reciptient and and set a cadence for reports that show blocked threats and filtered content. Find answers to common questions regarding SecurityEdge.